Hey, I’m Spencer. Three years ago I started this cool, intense fitness project where I basically tried to gain as much muscle mass as possible. I’ve always had a love-hate relationship with fitness, food, and my body. I never thought I was big or strong enough, and I seriously questioned the way I looked and felt. This resulted in a severe lack of confidence. I did not think I deserved to feel good. After countless attempts to gain weight and muscle but never really succeeding, I enlisted the help of trainer and registered dietitian Albert Matheny, founder of SoHo Strength Lab and ProMix Nutrition. I gained 20 pounds in 12 weeks, and after that project was over I wanted to continue with my fitness journey. 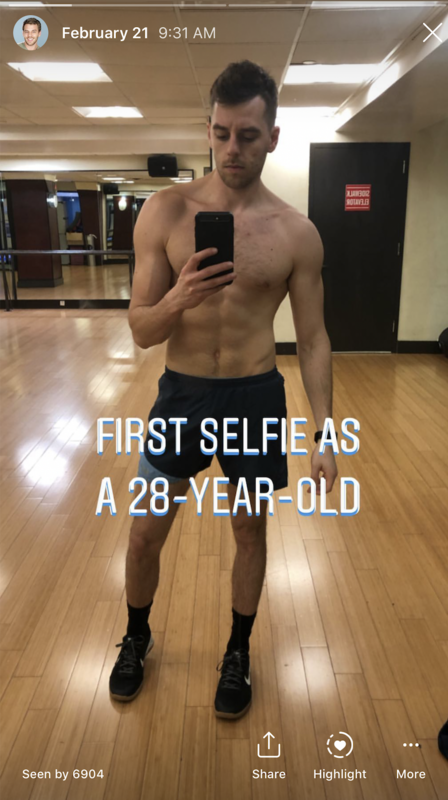 Everyone’s experiences and bodies are different, but here’s what actually helped me see results and stay motivated throughout the last three years. 1. Listen. To. Your. Body. I’ve researched enough about working out to know that if your body is telling you “no,” you should listen to it. Some days you’ll be physically or mentally drained, other days you might be sick, and other days you might just want to sleep in. There will always be things that may get in the way of your healthy lifestyle, so you should try to give your mind and body the break they need so you can recharge. 2. Keep in mind that there are some things you literally just can’t control. There was a time last year that was really tough for me. Due to a lot of stress and anxiety, I lost a bunch of weight and muscle mass that I had worked so hard to gain (top-right picture). Even though I was still working out and watching what I ate, I wasn’t as strong as I used to be. The gym started to feel more like a chore instead of something that I genuinely liked to do. I felt stuck. 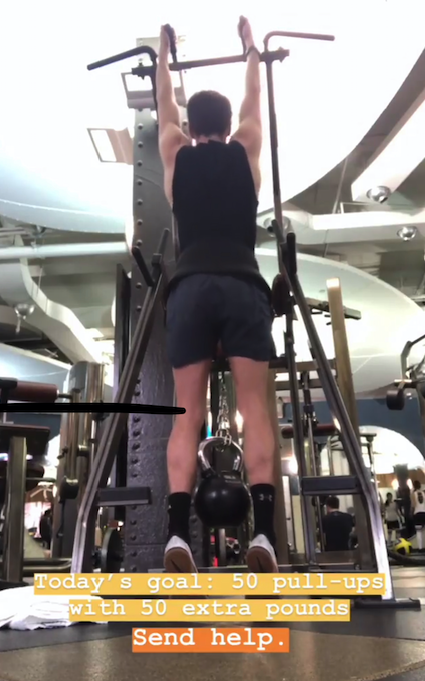 It took a while for me to get back into the swing of things and feel motivated again (I succeeded in large part thanks to my pull-up challenge), but I learned that this whole thing is a process. Your body will change – sometimes the way you want it to, and sometimes the way you don’t want it to. You will hit plateaus. All of that is totally normal and okay. 3. Don’t feel pressured to tackle nutrition and fitness all at once. I’m not a nutritionist. 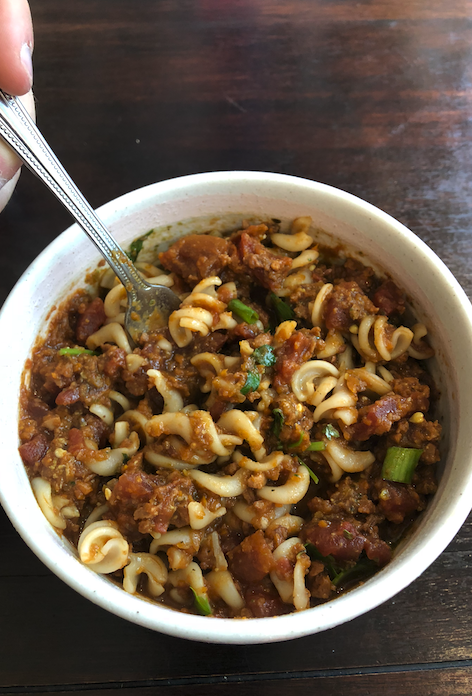 I struggle with knowing what to eat just like everyone else, and I didn’t start the nutrition portion of my journey until after I got comfortable with the fitness aspect. It was important for me to get into a steady workout routine first, rather than completely overhauling my lifestyle and changing every little thing at the same time. Small, consistent changes are key. 4. Find new ways to challenge yourself so you don’t feel stuck or get tired of your routine. My fitness experience was a complete lifestyle change. But as time went on, I’d sometimes feel unmotivated or tired of doing the same types of workouts. I knew I needed to spice things up, so I created fitness challenges for myself. These short-term challenges allowed me to change up my workouts and set new goals for myself, but more importantly they made working out feel new and fun again. Here are some of the challenges, if you’re interested: 100 pull-ups a day for 30 days, 100 squats a day for 30 days, and training like a gymnast for 30 days). 5. Don’t deprive yourself of your favorite foods. I love eating ice cream and pasta. I never want to live without them. And why should I? It took me about a year into my fitness journey to realize that. 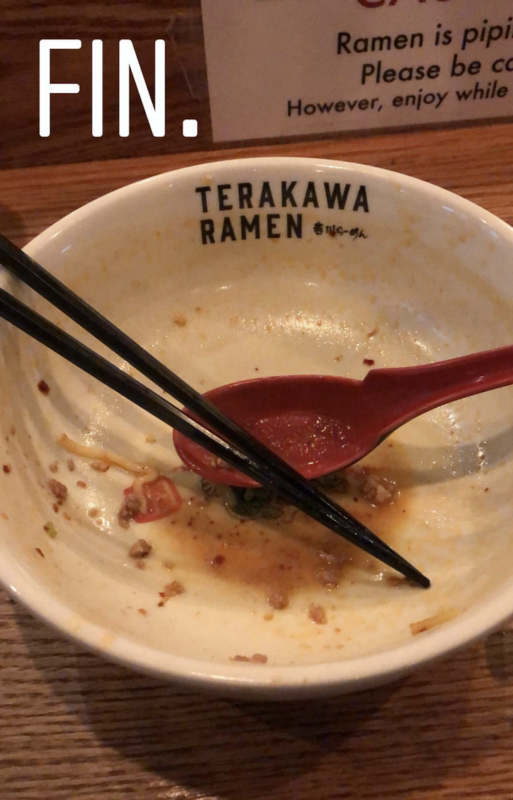 I’ve learned that an occasional bowl of ice cream or ramen won’t hurt me or keep me from hitting my goals. I’m putting in a lot of work, so if my body is craving a particular food, I’m going to eat it. 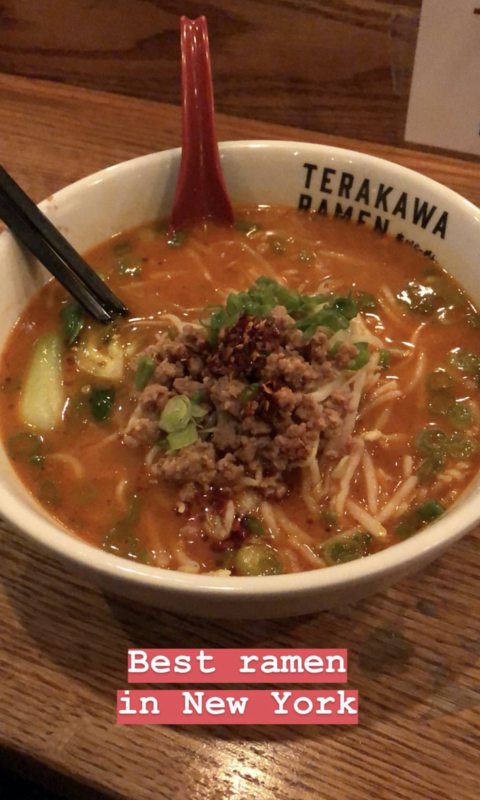 Life’s too short to not eat your favorite foods. 6. Follow a daily schedule, and consider becoming a morning workout person to help you meet your fitness goals. If something works for you, keep doing it. For me, that’s following a schedule. Schedules make my goals feel more attainable, and I’m more likely to make healthier decisions throughout the day because of them. 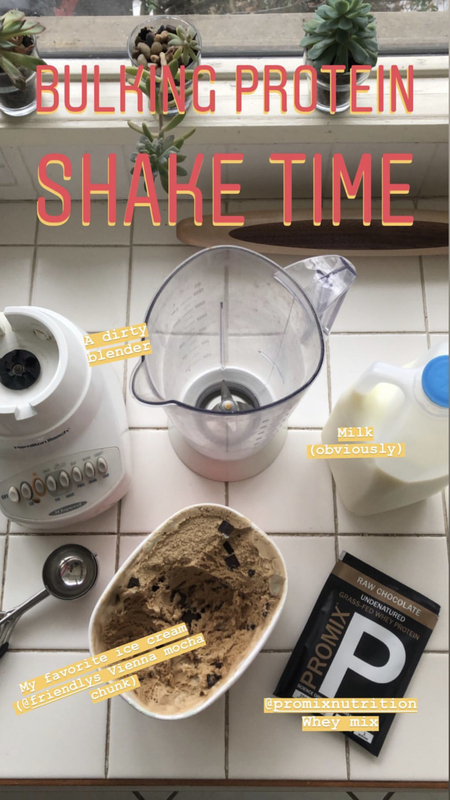 I’m also a creature of habit and don’t always like change, so sticking to the same sorts of things – like the same workout times, foods, and protein shakes (this one is my go-to, in case you were curious) – was super beneficial. There were also fewer distractions for me when I went to the gym in the morning. I was less tempted to eat snacks at the office, and I unconsciously took the stairs more often. Also, saving my workouts for later in the day would increase my chances of skipping them – maybe a coworker would want to grab dinner or drinks, maybe I’d be overwhelmed or tired and just want to go home, etc. 7. Create goals for yourself that aren’t strictly about the number of pounds you’ve lost or gained. A much larger part of my fitness journey was about becoming more in tune with my body, and tracking my flexibility was a great way to see that growth. For example, I could barely touch my toes a few years ago, and now I can rest both of my hands/palms fully on the ground with straight legs. I’ve also significantly built up my endurance, and I’m no longer reliant on my inhaler. Like, just the ~thought~ of taking a HIIT (high-intensity interval training) class a few years ago would have given me an asthma attack. I just completed my first HIIT class last week, and I didn’t need my inhaler once. 8. Keep track of your workouts so you can physically see all of your hard work and growth. I’ve been using the free Notes app on my phone for years to keep track of my workouts, and I can’t stress enough how helpful it’s been. On days when I’m not feeling motivated, I can look back at my notes as tangible proof that I’ve been putting in hard work. It also lets me see all of my growth that isn’t always noticeable in the mirror. Like, I can look back to my workouts from two years ago and then compare how much I was lifting then to what I’m currently lifting now. 9. Consider trying a group fitness class or finding a workout partner to help push yourself. Working out alone can be a pain sometimes, especially if you’re feeling a little lazy. There have been plenty of days when I’ve gone to the gym (or skipped it entirely) and not given it my best effort. That’s totally fine. That’s life. But working out with other people has helped change that. 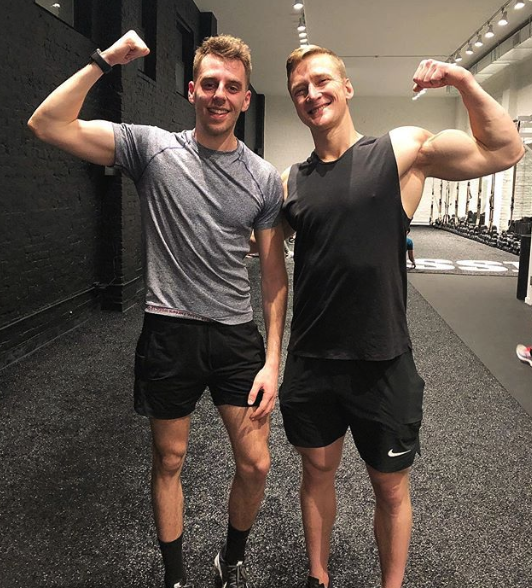 I’ve gone to a few group fitness classes, and I think they’re a great way to create a sense of community and support system with people who are going through similar journeys as me. They also allow me to change up my workouts and go at my own pace. 10. Try to stop weighing yourself (or at least understand that progress isn’t just about a number on the scale). My first fitness project was almost entirely based on how much I weighed. When it was over, I got so caught up in the numbers that I found myself feeling angry and disappointed when I didn’t hit a target weight or see the results I wanted. I had to remind myself that focusing on my overall health instead of a certain number on the scale was a much healthier way to look at things. 11. Be honest about everything. Confession: In the past I’ve lied about my experiences and the exercises I did (or didn’t do) at the gym. I know everyone embellishes a little to themselves or on Instagram, but I was doing it with stupid stuff. Like, sometimes I’d write in my gym log that I completed an ab workout or that I did an extra 10 minutes on the bike. Why the hell did I do that? I’m literally the only person who’s ever going to look at that log. I realized that I was sort of cheating myself out of more growth and progress by lying about my experiences. Since then, I’ve been trying to be super honest about my journey to myself and my followers, and I think it’s allowed me to hold myself more accountable. 12. Teach yourself about what’s in the foods you’re eating, but try not to obsess over it. I don’t like the word “diet.” It has a negative connotation to me because it feels like I’m limiting myself. 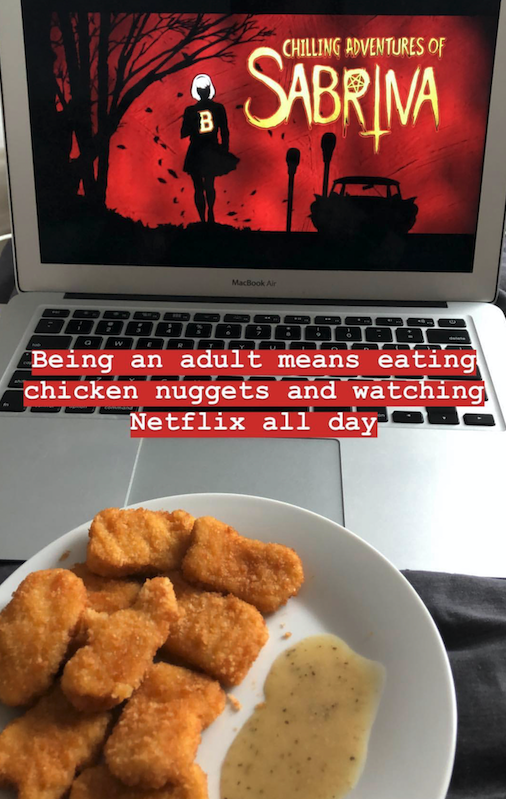 Instead, I think of my food choices as a lifestyle. But that lifestyle couldn’t start before I took the time to figure out what was actually in the foods I ate. A huge lifesaver for me was the free MyFitnessPal app because it broke down my daily food intake by calories, fats, carbs, and proteins. The process was pretty tedious and stressful at first, but after a while I got used to it. 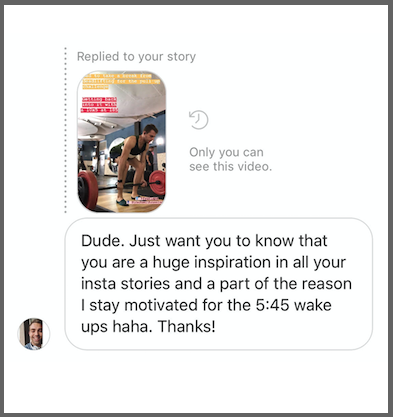 Then I was able to stop using it entirely because I had a better understanding of what I was actually eating and how I could achieve my goals. 13. Instead of comparing yourself to other people online or at the gym, try comparing your current self to your old self. This one is easier said than done. I definitely still compare myself to other people, but I’m working on it. You have to remember that no one else is going through your specific journey, and everyone’s starting from different places, so it doesn’t make sense to pit yourself against them. There are going to be a lot of days when you’ll question your progress and struggle to push yourself. In those situations, I like to think about what I wasn’t able to do before I started my fitness journey and then compare that to what I can do now. Three years ago I couldn’t do a single pull-up. I worked really hard and built up my strength and endurance, and a few months ago I completed a fitness challenge where I did 100 pull-ups a day for 30 days. I never thought that’d be possible, but it showed of how far I’ve come. 14. Don’t feel forced to cook or meal-prep every single one of your meals. It’s unrealistic to assume that you’ll be able to cook all of your meals. There’s no shame in that! You’re not a Food Network star, and it’s not your full-time job. In fact, I already have a full-time job, so I don’t always have the time (or want to) cook or meal-prep everything. I also live in New York, so going to restaurants is how people socialize here. In the beginning of my fitness journey, I foolishly declined invites to dinners with friends just because I was trying to eat a certain way. My personal life started to suffer, and I realized that I needed to find a medium. Teaching yourself about healthy alternatives (like getting a salad instead of fries or going bun-less on a burger) is an easy way to enjoy a night out without feeling guilty. There’s nothing wrong with making substitutions or enjoying a decadent meal at a restaurant. 15. 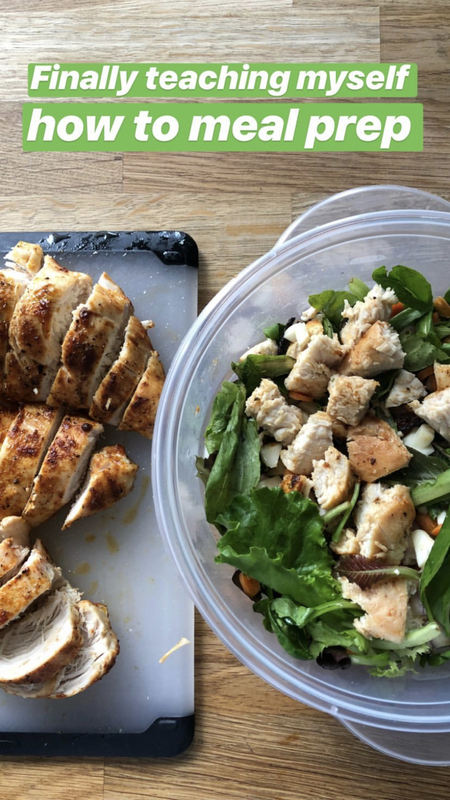 But when you do make your own meals, find an aspect of it that you really enjoy to help make cooking or meal-prepping feel like less of a chore. I like cooking, but I love TV. To make cooking feel like less of a chore, I put my laptop on the counter and listened/watched an episode of 30 Rock while I cooked dinner. Before the episode was over, I had cooked my entire meal and was ready to eat. A healthy, home-cooked dinner in 22 minutes or less? Easy. 16. Instead of setting unrealistic lifestyle goals for yourself, focus on making achievable lifestyle changes. Your goals will probably change throughout your journey. When I finished my first fitness project, I wanted to gain a second 20 pounds. That would have been a wild undertaking, and maybe I would have been able to do it, but I had to figure out what I really wanted. For me, focusing on goals that were strictly about the number of pounds I gained/lost would have actually been detrimental in the long run (I was beginning to feel disheartened because it was taking so long to hit those giant benchmarks). Instead, I strived to hit more achievable lifestyle changes, like completing my first HIIT class, lifting a certain amount, or going to the gym a certain number of times each week. 17. And don’t forget to celebrate the smaller victories while you try to achieve your overall goal. Seriously. What you’re doing is hard work, and it’s important to look back on your journey and congratulate yourself for everything you’ve done, no matter how small you think it might be. Like, maybe you had to buy new clothes or you hit a new personal record in deadlift or you cooked a healthy dinner for the first time or you simply took the stairs instead of the elevator. Your journey and body are specific to you, so take pleasure in your small victories and celebrate yourself. 18. 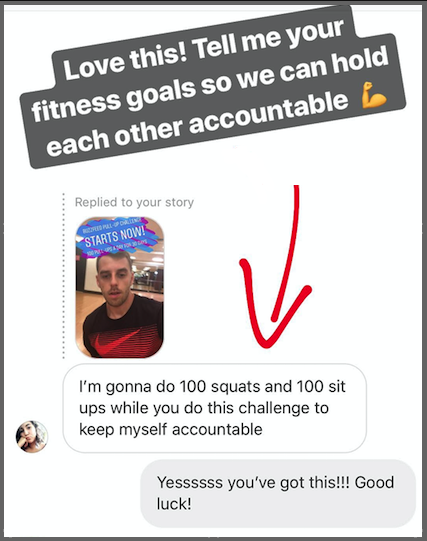 Post about your fitness journey online as a way to help hold yourself accountable. 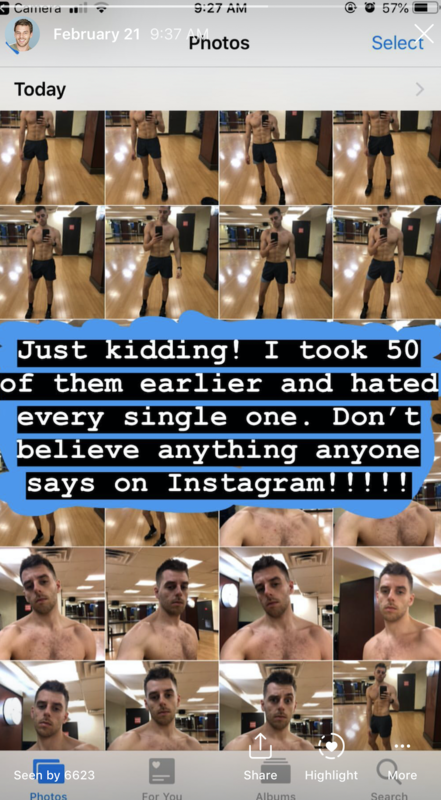 I think it’s healthy to post about your struggles just as much as your successes, so I try to be super honest about myself and my goals on Instagram. As a result, I’ve built up a mini support group with my followers. A lot of these people are going through their own fitness journeys, so it helps us keep each other in check. Also, there’s a little added pressure because I know people will be keeping tabs on my goals and journey, and that helps hold me accountable. 19. And follow that same practice when it comes to fitness, too. I used to be one of those people who never thought working out could be fun. Instead, it sounded more like torture. Running on the treadmill for 30 minutes? Nope. Not my idea of a good time. But taking a gymnastics class or going rock climbing? Definitely. The key is to find new activities that don’t necessary feel like you’re working out. You’ll obviously get a great full-body workout by taking a gymnastics class, but it’s totally different from lifting weights or running on a treadmill. 20. Look at your journey in weekly increments so it doesn’t seem so drawn out or daunting. This. Is. A. Process. But it’s a ~doable~ process! When I started my fitness journey I broke everything up into weekly increments. I thought to myself, “You only have to do this for seven days. That’s it.” And after I finished the first week, I re-convinced myself that I could do it again: “Okay, you just did it for one week. That means you can do it one more time.” Before I knew it, I was already a few months into my journey. 21. And most importantly, be patient, because you’re probably not going to see changes immediately. I’m so glad I made the decision to get healthier and stronger, but it’s so important to recognize that it’s not an easy undertaking. My fitness journey was a complete lifestyle change. I spent hours at the gym and meal-prepping and learning about the types of foods I should be eating and exercises I should be doing. I don’t know how to say this without sounding ridiculous, but I’m just a regular person who wanted to challenge himself. I’m not a personal trainer or a professional athlete or a nutritionist. Like, there’s nothing particularly special about my journey or me – anyone can do it. All it takes is some hard work, a little willpower, and a desire for success. 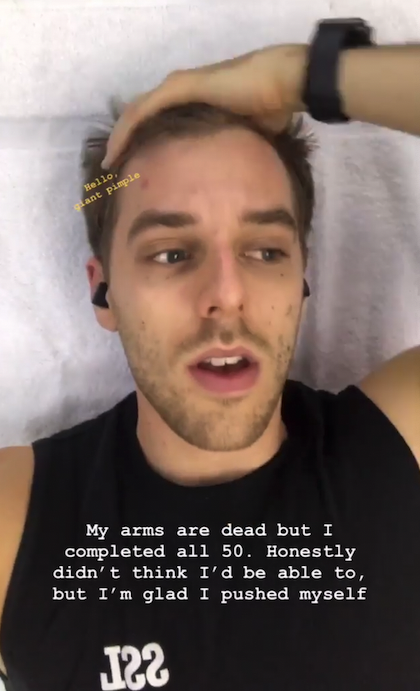 If you want to keep up with the rest of my fitness journey and BuzzFeed challenges, you can follow me on Instagram @SpencerAlthouse.